Welcome to your Magnolia Point Country Club homes and real estate search: The only search tool you will need to find a home in Magnolia Point Country Club. You can search all Magnolia Point Country Club real estate including Magnolia Point Country Club new construction, short sales, pool homes, golf course homes and foreclosed homes for sale as well. The Magnolia Point Country Club real estate market changes daily, so make sure you sign up for our Magnolia Point home search, which will email you new listings and price changes daily so you don't miss out. Above are some of the most recent Magnolia Point Country Club homes for sale. If you want to search for specific communities or homes in certain school districts, please use the Advanced Search tool. Located in Green Cove Springs, south of Jacksonville off US 17, Magnolia Point Golf & Country Club is one of Clay County's premier golf course communities. Magnolia Point is a 1000 acre master planned guard gated community that features resort style amenities including an 18 hole golf course, clubhouse with restaurant, swimming pool, tennis courts and playground. Home prices in Magnolia Point range from the mid 100s to the 500s. 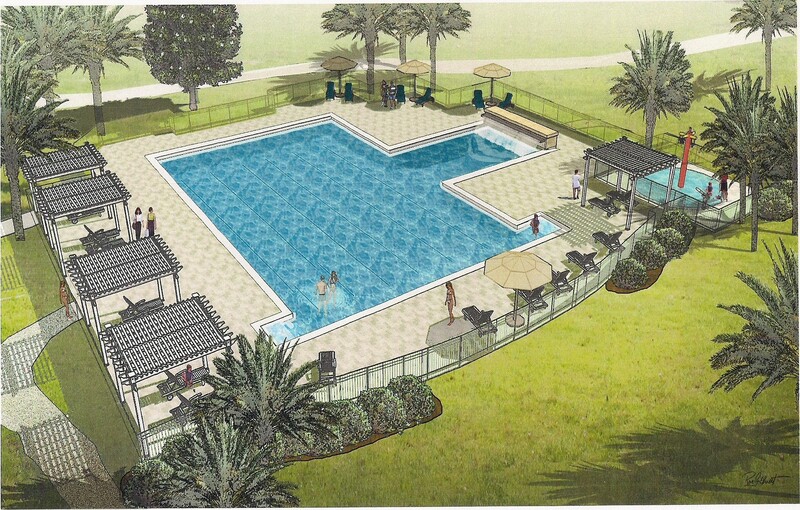 Magnolia Point Country Club is in the process of installing a brand new pool that will feature a children's splash park, water spills, pergolas and umbrellas. Below is a sketch of the new pool coming in the summer of 2016.